100 Tips #19: What Are Smart Folders? 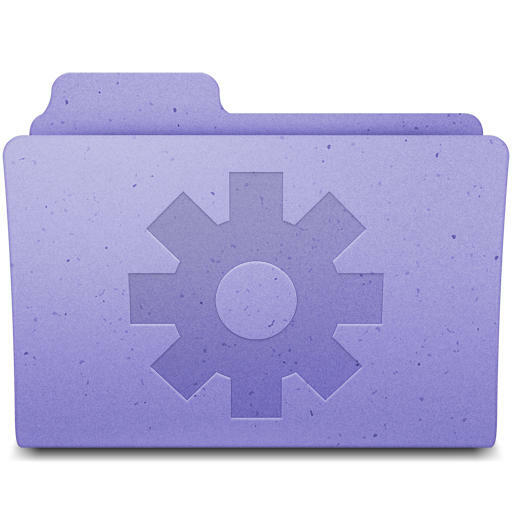 A normal folder is simple; it’s a thing you store files in. You choose which files are there, you have complete manual control over what’s inside that folder. A smart folder is one whose contents are partly or completely determined by a set of rules that you’ve created. 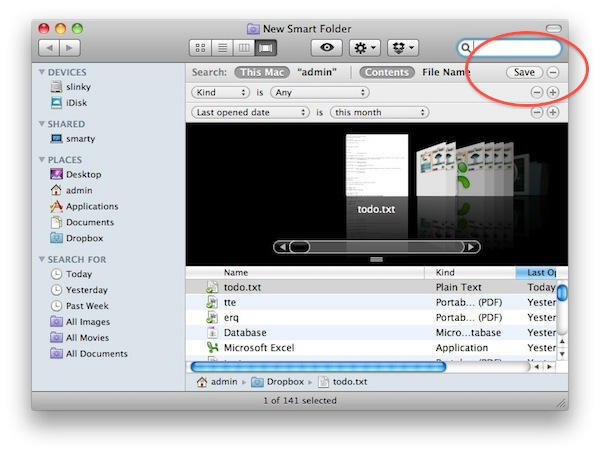 To set up a Smart Folder, make sure you’re in Finder and then select File -> New Smart Folder. You’ll see a Finder window appear, but it’s slightly different to normal ones. At the top of the window, just below the toolbar, there’s a new bar of controls. You choose whether the search scope covers everything on your Mac, or just the current folder. You also choose whether you’re searching file contents or file names. It’s not smart yet, though. See the little “plus” sign at the far right of that new control bar? That’s how you start getting smart. Click it, and you can start adding search criteria. Click it several times to add several criteria. You can select your options from the drop-downs that appear. So, if you want audio files modified in the last week, you can find them. If you want presentations containing the word “sales”, you can bring them all together. If you want a list of the folders you’ve opened in the last 24 hours, you can make it. Smart Folders are designed to bring related items together, no matter where they are actually stored in your filesystem. It’s worth noting that Smart Folders are virtual folders; your Sales presentations might be spread across different folders, but a Smart Folder will collate them in one place. It hasn’t moved the original files – it’s just displaying them together. The best thing about Smart Folders is that they stick around. They will always be up-to-date with the stuff you’ve told them to look for. The computer does the searching for you, all the time. When you’re done putting your Smart Folder together, click the Save button at the top-right (just next to the plus sign we mentioned earlier). In the save dialog you’ll see a checkbox that says “Add to Sidebar” – just click this to make your new Smart Folder appear in the Finder sidebar under the “Search For” heading. Note to regular readers: The tips have been few and far between recently, because of some personal commitments that kept me from posting much. Apologies for that. I’m hoping to keep things more regular henceforward.